We are proudly an AMA chartered club. Click to join the AMA and protect your right to ride! We are an affiliate club of the SCMA. Click to find out more about the SCMA. Partner Sponsors of our 2019 Ride Series. 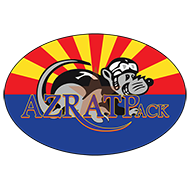 Click here to find out more about the 2019 GO AZ Motorcycles Ride Series.